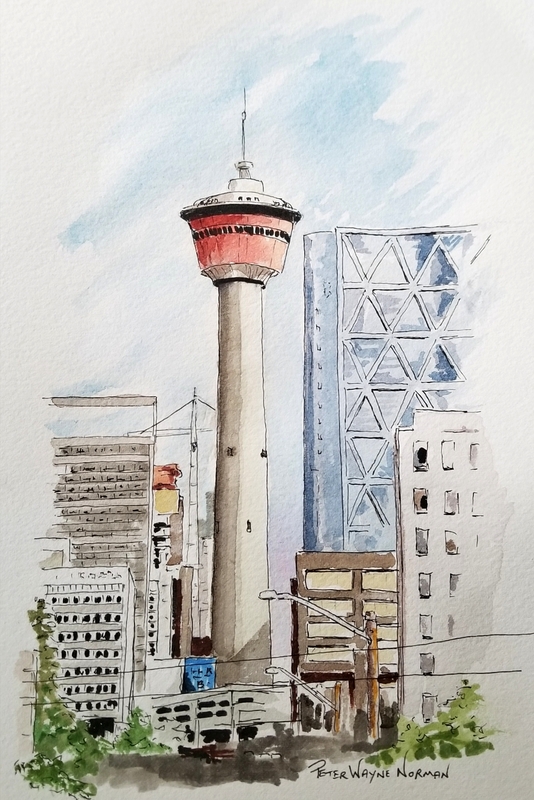 After numerous attempts to sketch the tower, but finding myself wither too close or too far, I miraculously spotted this view while driving home one day. A quick U-Turn, a perfect spot parked at the curb. Serendipity. Gotta love it.